Raise your glasses: The Mission has a new legacy business — the venerable Uptown bar at 17th and Capp. Uptown is known for its music and artistic events, and all of the unpretentious neighborhood bar amenities like couches, a pool table and a well-curated jukebox. Because it never gets too loud, it has hosted book clubs, debates, and is hospitable to community dialogue. 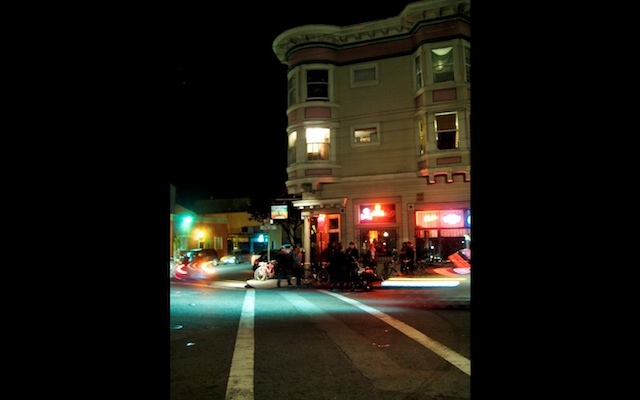 “Everyone seems to have an Uptown story,” Ken Cohen, one of the bar’s owners, told Mission Local. That was especially true for small business Commissioner Sharky Laguana, who ultimately voted for the bar to become a legacy business. “We would go to the Uptown and, in fact, that was where I kissed my wife for the first time,” he said on Monday. 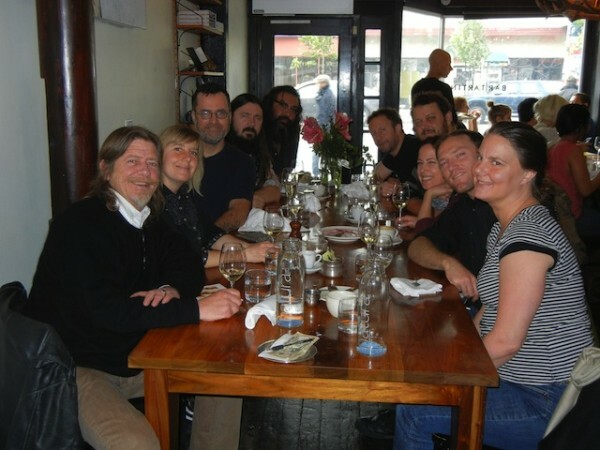 The staff of the Uptown out to lunch with the bar’s original owner Scott Ellsworth (left) in 2010. Ellsworth died in 2014. Photo courtesy of Jessica Gensley. The bar at 200 Capp St., while the venue of many a good memory, experienced some tragedy in April 2014, when its founder, Scott Ellsworth, died suddenly of a heart attack, a week shy of his 60th birthday. Instead of selling it the highest bidder, however, Ellsworth’s family passed the bar to seven Uptown employees and Ellsworth’s friends, including Cohen. Increasingly, “old neighborhood bars have been closing up and turned into fancy rests and cocktail bars,” Cohen said. The legacy status, he added, will help to keep at least this one alive. The 32-year-old dive bar can now receive grants of up to $500 per full-time employee and its landlord will receive $4.50 per square foot per year — if the bar’s lease is extended at least 10 years. Ellsworth bought the bar in 1984, naming it after one of his favorite theaters in Chicago, Cohen said. 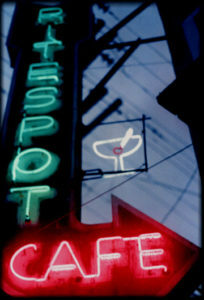 Having previously run the kitchen at Rite Spot on 17th and Folsom, he wanted to open a bar of his own, Cohen said. Cohen added that Ellsworth was very protective of the music included in the jukebox, which the former owner curated himself with local musicians. The Uptown at night. Photo by Ariel Dovas. And it has a rad pinball mural and always has a fun pinball machine there! A worthy and worthwhile aegis. Cheers for all the friendships, discourse and memories!